Information literacy skills are essential in virtual environments because one enters as a digital citizen. One chooses where to seek information, interaction, and engagement with immersive activities and communities. Along with the fascinating array of choices to explore comes the responsibility to choose wisely and understand the consequences of our actions. Networked culture makes boredom and isolation seem nonexistent. For individuals with various types of disabilities, this can be particularly liberating because taking an active part in a physical world community can sometimes be challenging. Traveling to a community event may be difficult, if not impossible, even in the local neighborhood. 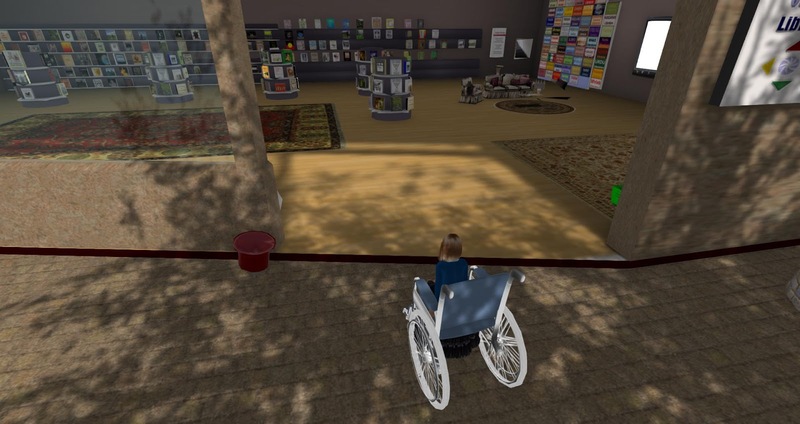 Research in 3D virtual worlds documents advantages that immersive environments can provide the disabled through rich experiences without having to leave home. For example, a research study suggests, “Patients with different kinds of social disorders and people who have problems communicating with others for different reasons could use 3DVWs to improve their social learning and interactive behaviors. A 3D virtual experience gives patients a feeling of control over their health, improving their knowledge and confidence, since they can navigate the health care system from their own home (Ghanbarsadeh et al., 2014)”. This new frontier of global digital participatory culture is not, however, without concerns. And one of the most critical issues we now must address is digital citizenship. Distinguishing credible information from inaccurate or deceptive information requires skill. So too, how we create, curate, and share information in networked society affects our future lives. Using networked technologies inappropriately may not only be a waste of time but can be harmful to ourselves and others. For example, cyber-bullying has become a problem for teenagers in particular. Educators can help model digital citizenship for students of all ages through advocating best uses of social media, online communities, and virtual worlds. People from early childhood through old age are actively using computer technology and mobile devices and encountering information in new ways. Sometimes a new technology tool is enticing to the point of addiction. Each of us is now personally responsible for our information intake and production of user-generated content. This new responsibility for digital citizenship includes understanding privacy, intellectual property, and the appropriate use of technology. Mike Ribble presents the Nine Elements of Digital Citizenship which address digital access, digital commerce, communication, literacy, etiquette, law, digital rights and responsibilities, digital health and wellness, and digital security. Once we embrace our rights and responsibilities as digital citizens, exploration of new media formats can bring new understanding, empathy, knowledge, and the freedom to explore places not possible in physical environments through virtual worlds and (in the near future) virtual reality. As we encounter others in virtual environments, our virtual identity can build a sense of trust and authenticity. Behind the data and the avatar, there is a real human being. The concept of reality may be changing as we consider what takes place in our minds is as real as what takes place in our bodies. Those who are limited by physical world constraints, such as the inability to move freely, may find a freedom to move in virtual spaces. 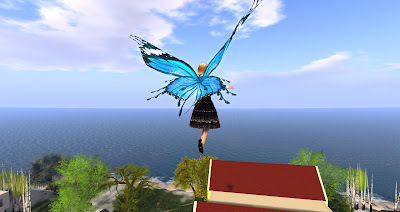 In a virtual world, one can teleport to new places and enjoy the ability to fly! May we find joy in new freedoms, new friendships, and new adventures, while remembering that just as the physical world requires us to be good citizens, the same is true in a virtual world. Find a Good Book, Share About It!